compound. A mixture is heterogeneous or homogeneous. or homogeneous in the appropriate column. Be ready to defend your answer!!! In a physical change, the original substance still exists. It has only changed in form. 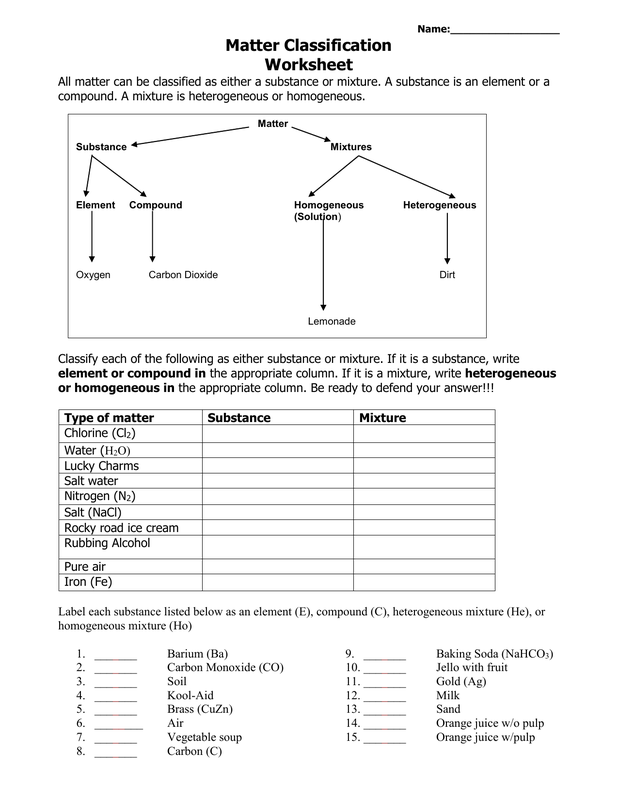 Classify the following as being a physical (P) or chemical (C) change. Sodium hydroxide dissolves in water. A pellet of sodium is sliced in two. Water is heated and changed to steam. Potassium chlorate decomposes to potassium chloride and oxygen gas. When place in water, a sodium pellet catches on fire as hydrogen gas is liberated. Pancakes cooking on a griddle. Grass growing in a lawn. A tire is inflated with air. Water is absorbed by a paper towel.